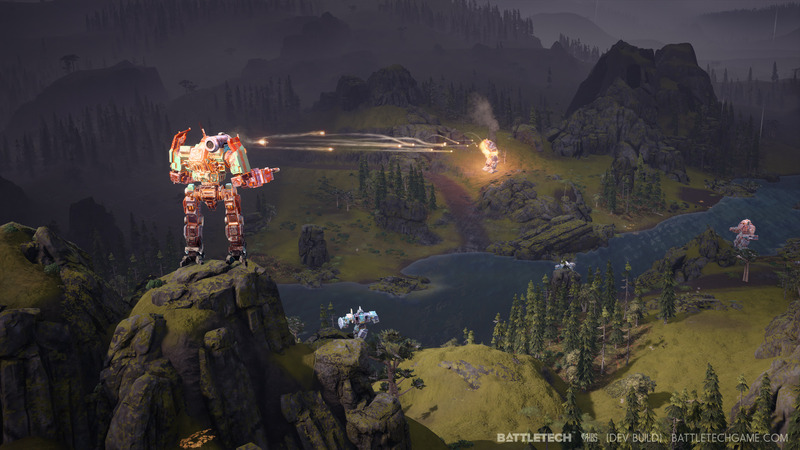 Publisher Paradox Interactive announced today that they will be taking care of the publishing of the turn based mech game Battletech, developed by Harebrained Schemes, the team behind the Shadowrun series. Battletech promises to be the game to play for fans of mech games, as the game is being worked on, among others, by Jordan Weisman, creator of BattleTech and MechWarrior, Mitch Gitelman, Producer of the MechCommander series, and Mike McCain, Creative Director of the Shadowrun series. A new Battletech trailer has also been released today, and you can check it out below. As expected, the game will be set in the future, where endless wars are fought with BattleMechs. Players will take command of their own Mercenary unit to take part in these wars and eventually find themselves entangled in a much bigger conflict. Set in the year 3025, the universe is trapped in a cycle of perpetual war, fought by militarized noble houses utilizing huge, mechanized combat vehicles called BattleMechs. Players will take command of their own Mercenary outfit, struggling to stay afloat as they find themselves drawn into a bloody interstellar civil war. BATTLETECH features explosive tactical `Mech combat, deep Mercenary management gameplay, a rewarding story campaign, and addictive PvP multiplayer. The game is scheduled to launch in 2017. Battletech launches on PC sometime this year. We will let you know precisely when the game launches as soon as possible, so stay tuned for all the latest news.